Welcome to my website! Here you find out about personal change and spiritual development. You may be seeking clarity and healing through counseling, transformation through depth psychotherapy, or spiritual growth and guidance. Whether you are new to this or have tried it before, here you can discover new ideas and practices, get help and encouragement, and find inspiration. Your Sacred Calling: Awakening the Soul to a Spiritual Life in the 21st Century, the new book by Richard Harvey, is now available from Amazon! or see Your Sacred Calling for more details. Real change comes about through inner work, when we “attend to soul” and discover who we are. Only then can we can realize our potential for truth, power, creativity and satisfaction. But how do we proceed when faced with such a confusing array of approaches, often mixing modern psychology and ancient, usually Eastern traditions? As a psychotherapist and spiritual teacher, I have explored deeply the relationship between personal therapy and spiritual growth, because they refer us to our innate capacity for wholeness. I found that they are connected by a middle stage of authenticity that brings our unique, compassionate self into true relationship with other people and the world. My therapeutic approach is an innovative psycho-spiritual psychotherapy, which reveals a new understanding of what it is to know yourself and really change. To find out more about this inner journey, see human awakening. ONLINE PERSONAL RETREATS NOW AVAILABLE! 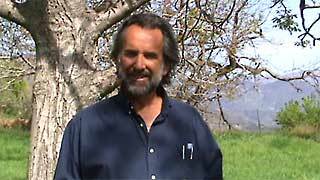 If you cannot come to Andalucia but want a Personal Retreat, you can now experience one online with Richard Harvey. For more information see online personal retreats on my Retreats page. SACRED ATTENTION THERAPY GROUP WORK MANUAL JUST PUBLISHED! For all updates, see What's New? Years later, I am still amazed at how different I am because of working with Richard. Everything that changed was for the better. His insight into spiritual matters is only rivaled by his ability to explain them. He is a genuine teacher, not blinded by spiritual pride like so many self-proclaimed 'gurus'. I can honestly say that my time spent with him was one of the most eye-opening experiences I've ever had. E. K.